I keep hearing about Chipotle, I want to try it! And I definitely want to hear those stories from the Penthouse club! fun!!! So sad the Arc was under construction while you were there! Next time you're in Paris, try to make it to the top- incredible views of the avenues! So beautiful! Chipolte in Paris? Well, I guess if they have McDonald's. Glad it tasted good, because the McDonald's in Rome was an unearthly burger. Can't imagine how it was considered a burger. The real reason we ate there was we were waiting for the night train, and I was dying for ice in a drink. And, they did not serve soda with ice there. Unbelievable. Ice was what I missed most in Europe. In hot Nice, I was motioning for ice and trying to convey the idea of ice, and the man said, glass, she wants a glass. I would have given my firstborn for a glass of ice instead of tepid drinks. I love the anecdote about your mom wanting eggs. My dad wanted the same thing in Spain! We went by a restaurant advertising eggs on a sign they had posted outside. You know, the usual Coca-Cola type poster, obviously meant for tourists. I had to gently explain to him that those eggs were for dinner and no restaurant would have them for breakfast! 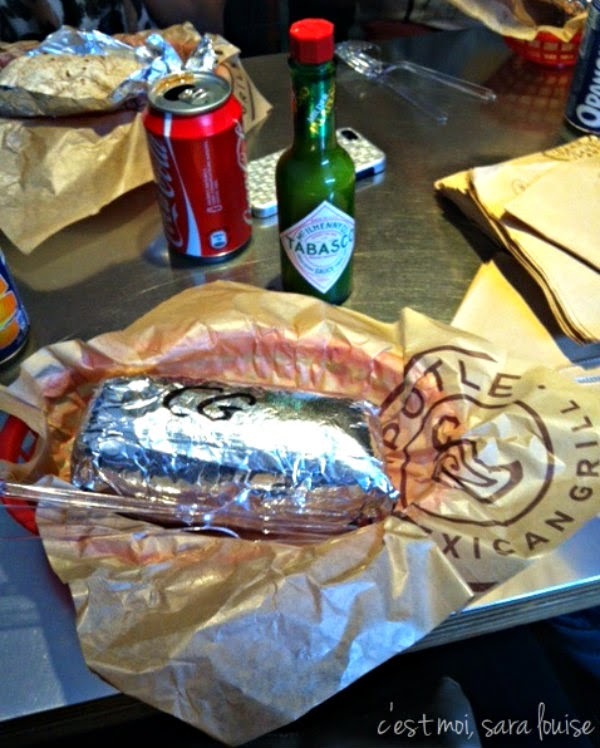 ah chipotle in paris! when i lived in london, i just always wanted mexican (or tex mex) food and it was impossible to find. Ummm...what is The Penthouse Club? Am I being naive asking this question? I went to the mall this weekend so....yeah...yours trumps - expensive coffee and all! Sometimes a taste of home is just what you need! I think many of us will relate to that. I'm always disappointed when a building is partly covered for renovation work. 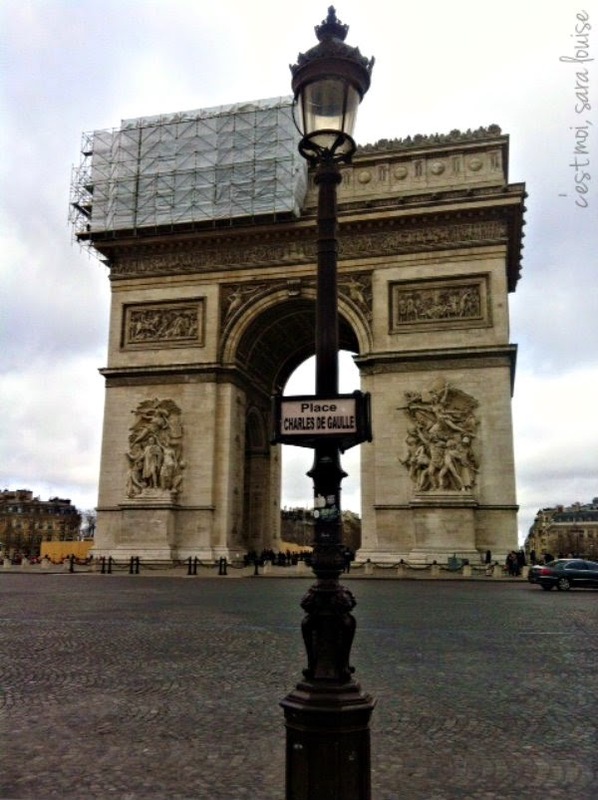 Having said that, the Arc de Triomphe still looks beautiful here. I went to Starbucks in Paris too and didn't eat French food. Totally get it. 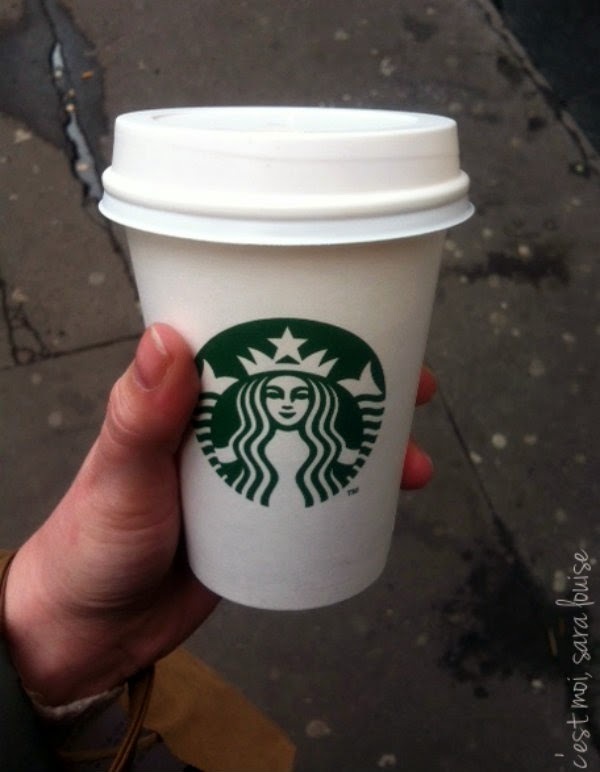 Although I also thought I was the coolest person EVER having Starbucks in New York despite the fact I had it in London all the time. I don't know why. I thought I was in Friends. Yes, I understand the Starbucks fascination. The novelty has worn off for me also, being back in the States, but if I was back in Paris I would surely be there. The opposite is also true - I miss the French lunch/dinner so much there is now way Chipotle would overrule even the dingiest little brasserie! I can't even judge you for going to Chipotle - when I was in China, going to McDonald's was the most amazing experience, because I missed American food SO much. 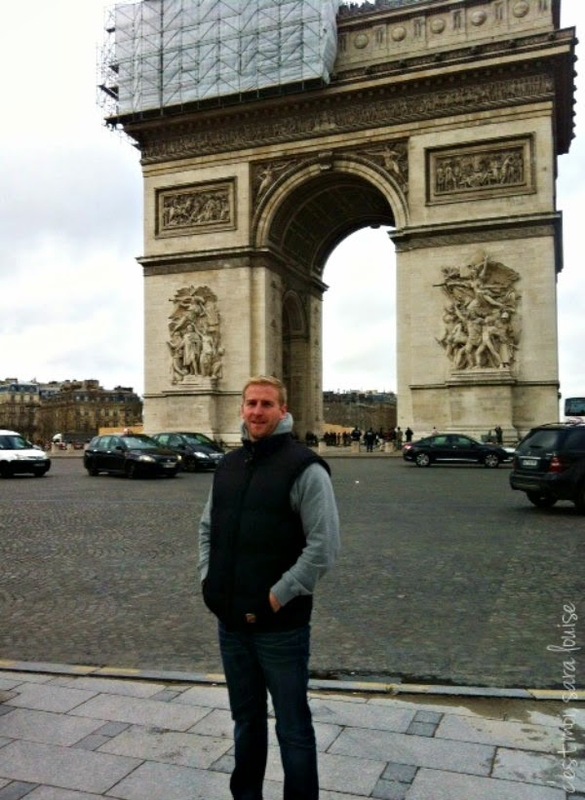 We didn't climb the Arc when we were there, but it was so amazing to see it in person! I couldn't get enough bread/pastries when I was there though, so I can't fathom being tired of pain au chocolat au une tartine. I miss it now so much (that I'm back to cafe noir for breakfast). I can totally relate to your Mom having had enough of pastries for breakfast. Why is it that the French, despite being a nation of gourmands, just cannot make scrambled or poached or boiled eggs & forget about bacon & eggs. I mean, what is that all about? Man cannot breakfast on croissant/pain au chocolate alone, they are for high days & holidays as far as I am concerned. Mind you on those high days I can always go an almond croissant with the almond cream in the middle mmmm. I may be a die hard Anglophile and happily eating my way through London while I live here, but Chipotle is still a staple in my diet. Maybe it's my only show of homesickness, but I always crave American food more living over here. But thank God for Chipotle...I don't know where I'd get burritos in London without them. And I love it that you stopped there in Paris! 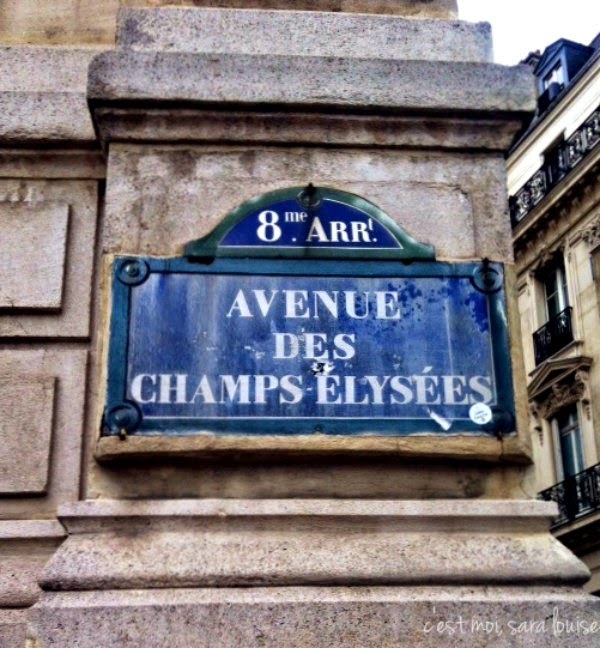 I've just been catching up on your Paris posts, I'm getting excited for my trip this summer! I've never heard of Chipotle but I'm curious now, I'll have to hunt it out!